Morse Data Corporation is proud to announce . 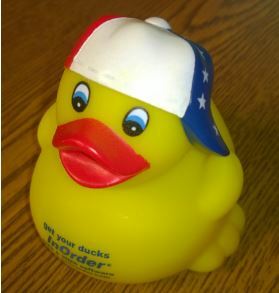 . . the 2014 InOrder duck! Our new addition boasts a hat of red, white & blue representing the stars & stripes of Old Glory, with InOrder proudly displayed on its chest. Do you have InOrder ducks from past years? We’re still looking for pictures of the elusive InOrder scuba duck. It’s quite rare so if you have one, we’d love to see it! Send us a picture (to marketing@morsedata.com) and we’ll post it on our blog. Come check out the new duck and InOrder Enterprise Management Software at the 2014 IRCE in booth 708. To decrease fraudulent orders from being processed, orders placed with InOrder’s Enterprise Management Software may be assessed as they are received based on a variety of criteria known to indicate fraudulent purchases. Fraud point values are defined and assigned to criteria to compute a fraud score for each order source. Fraud scoring criteria may include whether or not an item is considered risky, and may be weighted to establish how risky an item is relative to other items. As criteria are met, point values are added and saved on the order. If the overall score exceeds the defined threshold values, the order is placed on hold for review and/or manager approval. Fraud scores may be computed in real-time as each line item is added to an order, or once for all items when the order has ended. The [Order Lookup], [Order Entry], and [Customer Service] windows show the order’s saved fraud score. A new report, Frequent Returns and Replacements, lists customers who exceed a number of returns / replacements within a date range, along with their returns and replacements. 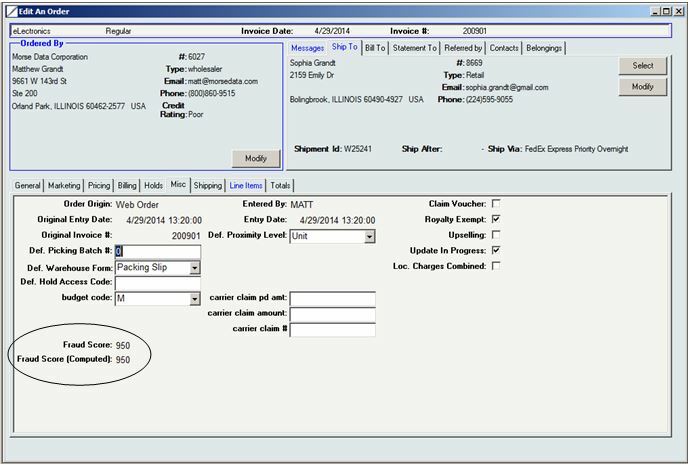 Also included are order level messages, and the customer’s lifetime sales and returns. In addition to supporting your business, every ERP system should have capabilities that help you build your business. Here are five features of great ERP systems that you can use to drive traffic to your store, add customers, and build orders. When a customer views or orders any item, this feature provides an alternate item or additional item to complement the one originally viewed. When used on an eCommerce site, items are displayed to the customers. When used with a POS or other order entry system, items are displayed to the customer service rep to suggest to the customer. But don’t stop there! Make sure the suggestions make sense. For example, are you showing items that you have in stock? Are you grouping related items by the reason they are related? Customers can redeem points in the form of free merchandise, dollar amounts, merchandise credit, or shipping discounts. Using a Loyalty Program not only generates additional income, but is a way to express appreciation to your customers. Promotions provide incentives to customers for ordering, or for increasing the size of their order. For example, you might include a free item with every order over $100. Promotions can also be used to entice customers to buy from other product categories they have not tried yet, or to test prices and new product offerings. Installment Billing allows you to make your products available immediately to your customers while accepting payments over time. Installment Billing can be used for subscriptions or large purchases, which customers might otherwise put off indefinitely. You can even link an installment plan to a promotion so your customers can take advantage of special purchasing opportunities before an offer expires. Installment Billing is the perfect tool for providing your customers with a personalized and professional shopping experience. Email Marketing provides an efficient way to communicate with your customers through your ERP system. Email marketing is used to let your customers know about new products and promotions, and to drive traffic to your website with newsletters, reminders, and other targeted marketing efforts via Email. Effective Email marketing pieces include the “abandoned cart reminder” and the “we’re sorry so here is a discount.” These types of emails are known to catch customers’ attention by letting them know that you care about them and their business personally (in the context of previous interaction with them, as opposed to a general “cold” marketing effort). Click here for Email marketing messages every ERP system should have. FedEx Corp. recently announced the following changes to its rates. 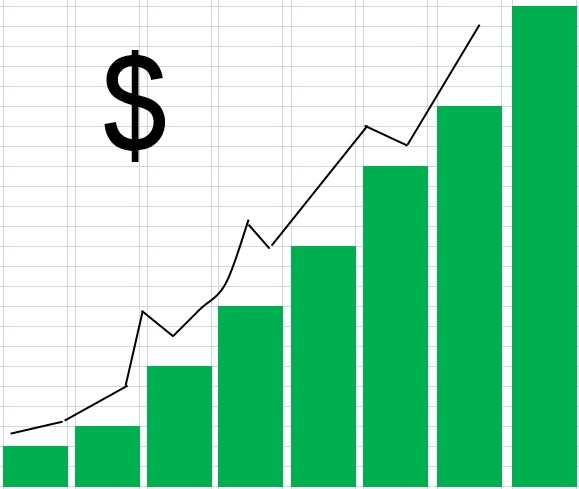 As of Monday, June 2, 2014, the FedEx Freight fuel surcharge indices increase by 3 percentage points. As of Thursday, January 1, 2015, FedEx Ground will apply dimensional charges to all ground packages, regardless of their sizes. 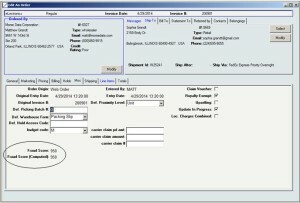 InOrder customers with a shipping manifest system interface under support can rest assured that they will receive updates necessary to support these computations for the carriers that require them. Interfaces to other shipping systems that do not require the new features will not be affected. NOTE: Shippers must coordinate any necessary upgrades with their shipping manifest vendor, allowing enough lead time to test the upgrades before the new rates begin. 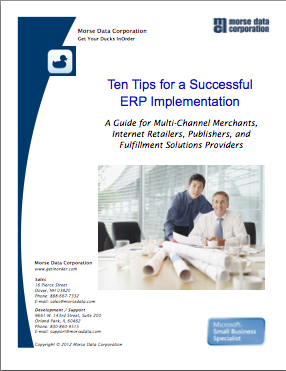 You know it’s critical to be able to communicate with your customers through your ERP system. You need to acknowledge orders, notify customers about shipments, approve returns, reset passwords, send digital products, and provide various services through Email messages. In addition to supporting your business, every ERP System should have Email Marketing capabilities that help you build your business. To let your customers know about new products and promotions, and to drive traffic to your website with newsletters, reminders, and other targeted marketing efforts via Email, make sure your ERP System can send these messages. Welcome messages are sent to customers who create new accounts and can set the tone for your new relationship. They remind new customers of their basic account information that may be needed to return, such as their login information, customer number, etc. They are sent to thank new customers and announce any coupons, points, or other promotion for creating the account. Welcome messages may also contain links, discuss benefits of the company, privacy policies, customer support information, other promotional offerings, and more. 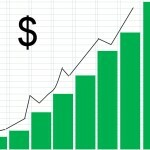 These all-important messages can generate income for your business by converting lost revenue. Include a link to the cart so your customers can simply pick up where they left off. You can even offer promotion codes to encourage customers to complete their orders or add items to their carts. A good practice is to send abandoned cart Emails as a series. For example, you can either define a series for Emails that are sent at specific time intervals and stop after the final Email is sent, or based on minimum/maximum delay settings until the maximum delay is reached. Use these messages to drive traffic back to your site by notifying shoppers when items they want become available or promote related items as alternatives. A great ERP system will even receive requests directly from shoppers to let them know when an item is back in stock. Email Blasts distribute Email messages to members of a mailing list to advertise new products or upcoming sales, distribute newsletters, and more. Be sure to look for Email tracking as well. Tracking clicks and reads shows your customer services reps when a customer is interested in a specific offering or item. Other information related to customer contact is also tracked, such as orders, returns, inquiries, mailings, and call lists, and even your conversions so you know which promotions are the most successful. A great ERP system organizes all of these Email functionalities by customer and prospect, so customer service and list management functions can see and act on a clear and integrated timeline of events. This helps customer service reps provide first-rate, personalized service to your customers. All of these Email functionalities are tracked by customer and prospect, so customer service and list management functions can see a clear and integrated timeline of events in one place. When evaluating or setting up your ERP Email Marketing messages, be sure you can send text or html-based messages, or both, so you can reach all your customers where they want to be reached. Ideally, the system will have templates to get you up and running faster, and let you personalize your content for top-notch targeted marketing.